As Louis held her new iPhone, her thought wandered to what she heard from some of her friends who have had difficulties erasing iPhone without restrictions passcode. She sighed and silently prayed that similar experience did not befall her. However, she knew within herself that she could be in the same situation as her friends at any time. Have you found yourself wondering like Louis too or experiencing what her friends faced when they wanted to erase their iPhone without passcode but could not do so? If so, worry not! This piece will show you how to use a great tool to erase iPhone without Apple ID. But before we do, let us look at the probability of recovering forgotten restrictions passcode. Can I Recover Forgotten Restrictions Passcode? Absolutely not! Why? Because restriction passcode is there to lock off certain functions in your iPhone for protection. You may call it Parental Controls and you would be right. Restriction passcode will help to hide explicit songs, disallow some background apps from running, and more. Now, if you want to remove it, you would be required to supply the 4-digit passcode. If you have forgotten it, you will face hiccups trying to erase your device. Your nearest help could be iTunes, but the problem is that it has some requirements too. However, the method we are going to show you now require no passcode. Just run it and get everything as quickly as you want. Now, this is what you have been waiting for. I have no doubt you would like to know the kind of tool we have so much faith in and can solve almost all the issues your iPhone might have. This tool is called iMyFone LockWiper. LockWiper is a software app specifically designed to help with any iPhone issue and it will help solve it without ever needing passcode requirement. LockWiper helps bypass iPhone restriction passcode and also iCloud account that make it insignificant when you forget your ID or passcode. Easily delete the old Apple ID on your device to set up a new one. Fix also iOS issues: stuck at recovery mode, white/black screen, keep crashing, etc. So if you are in the case to erase iPhone without restriction passcode, just download iMyFone LockWiper and get your task easy. Step 1: Launch LockWiper on your computer and connect your iPhone to it. Click “Start” button on the interface to get start. 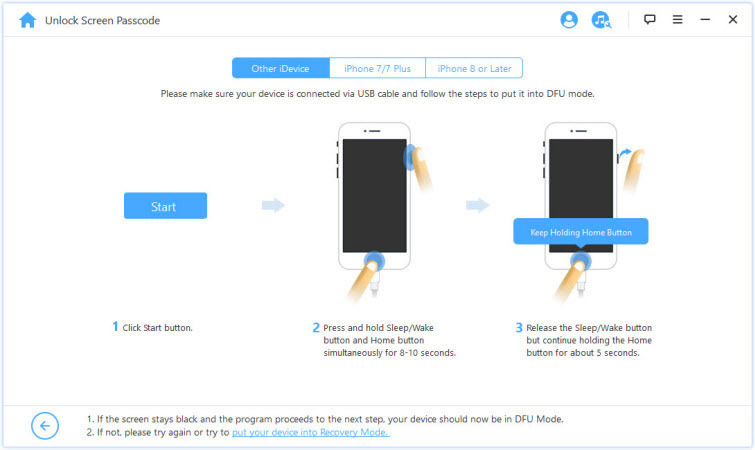 Step 2: Follow the on-screen instruction of LockWiper to put your iPhone into DFU mode. Step 3: LockWiper will automatically detect your device. Confirm or change the model info of your iPhone there. 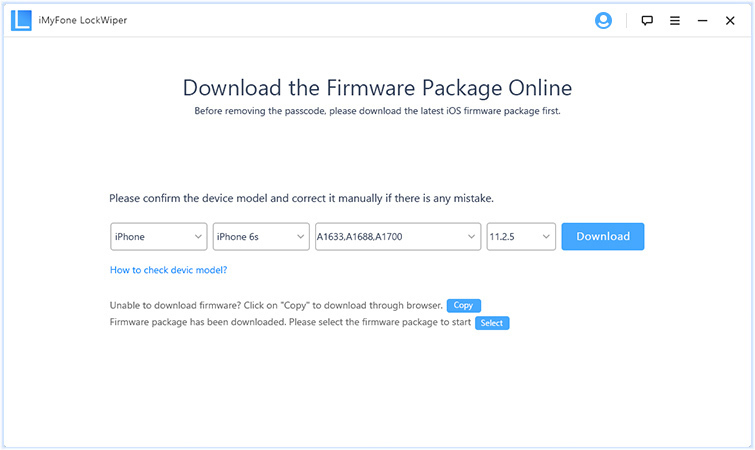 Then click “Download” for a firmware package. Once downloaded, tap “Start to Verify” and it will verify the firmware with your iPhone. 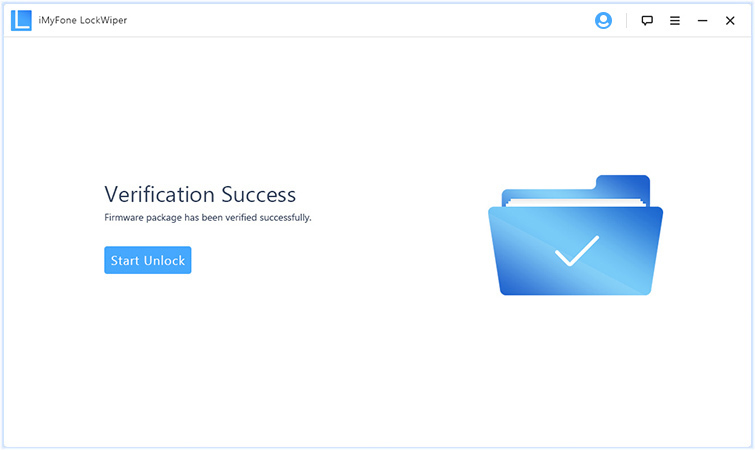 Step 4: Click “Start Unlock” and type “000000” into the box to confirm it on the next page. Be patient and wait for the unlocking process to finish. In general, you can use iTunes to restore your iPhone without password, but it has some limitations. 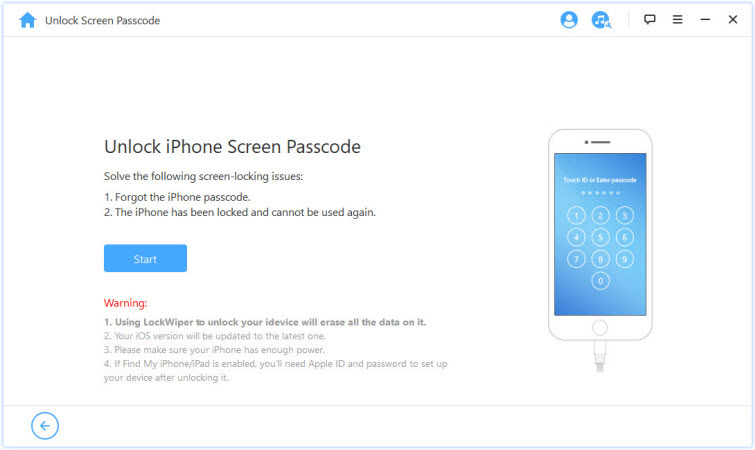 That’s why we just introduce the third party app - iMyFone LockWiper - to erase iPhone without restrictions passcode. You should have synced your iPhone to iTunes before. If you synced your iPhone with that iTunes for a long time, iTunes won’t remember your iPhone. That means you still need the restrictions passcode. iTunes takes much more time. It should take at least 30 minutes to restore your iPhone. If you are using the recovery mode with iTunes, you need to repeat the steps again and again if it takes longer than 15 minutes. Sincerely, we highly recommend you to use LockWiper and save yourself of problems. It is the best option that truly helps.